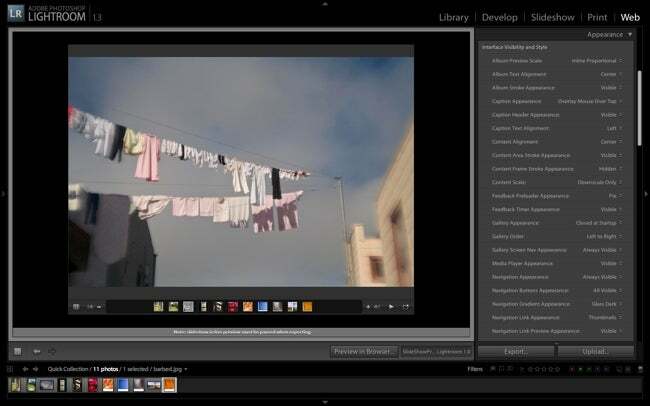 Dominey Design has released SlideShowPro for Lightroom, a $25 plug-in that lets you create highly customized, Flash-based Web galleries from your Lightroom photo collections. 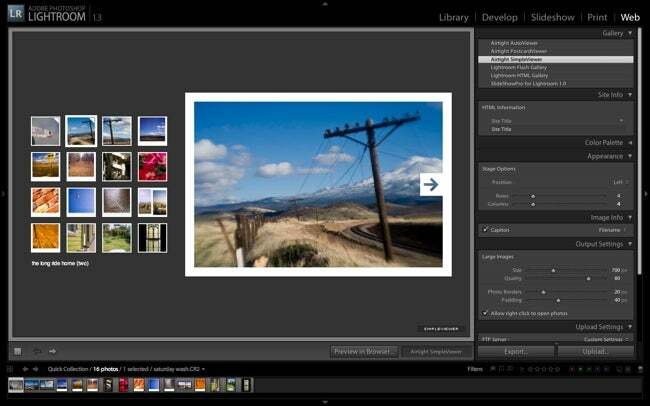 The plug-in works within Lightroom’s Web module and offers more than 60 options for building interactive slide shows. You can adjust almost every aspect of your galleries, including image placement and size, the colors of buttons, backgrounds and other elements, and the inclusion of metadata in captions and overlays. And, since it’s all embedded within Lightroom, you can save your settings as a template, and use Lightroom’s FTP capabilities to update your galleries quickly. There’s even a full-screen mode for viewing slide shows, and, if you don’t mind getting your hands dirty (by mucking with some XML code), you can showcase multiple albums and add audio tracks to your galleries. Airtight also offers a Pro version SimpleViewer for $45, if you have Flash. Both Dominey Design and Airtight have sample galleries you can view from their Web sites, or you can check out galleries I have built with SlideShowPro, SimpleViewer and PostcardViewer.